Are you looking for hand painted Indian film posters ? Contact us on mobile no. 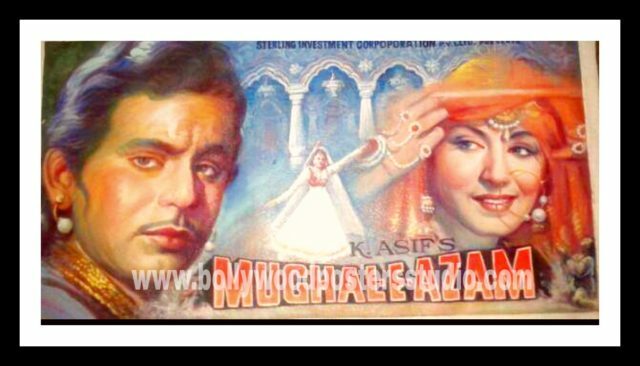 +919022034923 or +917666866256 or MAIL US ON: bollywoodpostersstudio@gmail.com Bollywood posters studio online store offers you authentic vintage memorabilia hand painted Bollywood film poster by the best hand painting artist of Bollywood film poster at Mumbai, India. These hand painted poster deliver emotive story what printed poster can’t do. Hand painted Bollywood film posters of all old vintage movies for sale !!! Dev Anand Guide movie poster by the best film poster artist Mumbai, India using the old traditional hand painting techniques. Old Bollywood film poster of the memorabilia Indian movie Guide 1965 for sale. Bollywood posters studio (BPS) collaborated with the original film poster painters in Mumbai to revive the dying art of hand painted poster painting. Dev Anand Guide movie hand painted film poster for sale!!! on canvas by one of the finest Bollywood film poster artist. Rare vintage museum quality of hand drawn Indian cinema poster of Dev Anand. Bollywood film poster artists have left an indelible mark on our minds. Hand painted art were not only used as means of advertising but also representing our culture. Their color captured the shades of characters and reflected the intensity and drama. With these meaningful hand painted poster we come to know who is playing what character. But in 1992 the digital revolution came over the hand painted art and demand of making hand painting poster was started declining. Bollywood posters studio revives the art of hand painting with the few poster painter and billboard poster artist. If you are interested in your own custom painted Hindi movie film poster ? Bollywood posters studio offers you the opportunity to be a part of your favourite old Hindi film poster hand paint by the most talented and highly experienced artist. These old Indian Hindi cinema film poster artist recreate your poster with vintage look which make your poster real.